Attention Spanish-Speakers! Paid Opportunity to Work with Farmworkers in the Summer! Columbia Legal Services is seeking a 2016 summer intern to assist experienced attorneys in serving migrant and seasonal farm workers through farm labor camp outreach, community education and legal work. Law students will work with attorneys on ongoing cases and projects, and will play an essential role in assisting workers in their efforts to enforce their labor rights and obtain access to needed services. Fellowship funding is available for one position, located in Yakima, WA through the Laurel Rubin farmworker Justice Fellowship in the amount of $5,500 for a ten-week internship. CLS legal interns participate in systemic advocacy on behalf of low-income people by engaging in legal research and writing, policy advocacy, and community outreach and education to advance systemic change in Washington State. 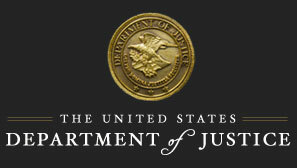 The Vera Institute of Justice, founded in 1961, is an independent, non-partisan, nonprofit organization that combines expertise in research, technical assistance, and demonstration projects to assist leaders in government and civil society, examine justice policy and practice, and improve the systems people rely on for justice and safety. Vera runs an annual summer internship program for undergraduate, graduate, and law school students. Interns typically work full time in one of Vera’s departments or centers and programs; some part-time positions may be available. In addition to working on individual assignments, all interns are welcome to participate in events organized by the internship coordinator. For example, past interns have visited Sing Sing Correctional Facility, lunched with executive-level management, and visited Vera demonstration projects. The New York Legal Assistance Group (NYLAG) provides free civil legal services to low-income New Yorkers. To enhance the level of services available in New York, and to help train the next generation of public interest lawyers, NYLAG is recruiting a class of law student summer interns for the positions listed below. Each position requires a full-time commitment of 10 weeks (generally, May 31st to August 5th) and is unpaid. In addition to handling substantive work at NYLAG, interns will have the opportunity to participate in a comprehensive training service that covers the breadth of civil legal services practice in New York City, as well as a series of brown bag lunches on fellowships, clerkships and other topics of interest, and social events in and around NYLAG’s office in lower Manhattan. Applicants (rising 2Ls and 3Ls) should have excellent research, writing, and analytical skills, and a strong commitment to public interest law. To apply, submit a cover letter and resume to volunteer@nylag.org. Applicants may be considered for more than one position, but should indicate in a cover letter which positions are of interest and describe relevant experience. Applications are accepted on a rolling basis, and recruiting is expected to be completed by March 31, 2016. BayLegal is the largest staff based non-profit law firm providing free civil legal services to low-income individuals and families in the San Francisco Bay Area. BayLegal selects approximately 20-30 law students to work in our offices during the school year and approximately 40 students during the summer. Under the supervision of BayLegal staff attorneys, interns will have the opportunity to build cases from the ground-up; including conducting: client interviews; initial case assessments; obtaining discovery andother evidence; preparing clients for trials; writing briefs and other legal memoranda; assisting self-represented litigants; community outreach and education; and representing clients at administrative hearings and state court hearings/trials. Interns also assist in drafting writs of mandamus to Superior Court and California appellate courts and participating in broader impact litigation. Interns often work on projects and cases that have a wide-ranging and lasting impact on our client communities. BayLegal encourages students who have completed evidence so to become certified by the CA State Bar to represent clients in court. During the school year, students commonly work 10-15 hours per week. During the summer, Interns work on a full-time basis. Attention 1Ls and 2Ls! UW-Exclusive Paid Internship Opportunity! Check Out the Environmental Law Institute in Washington DC! U.S. Committee for Refugees and Immigrants (USCRI), a non-governmental, not-for-profit national organization dedicated to addressing the needs and rights of refugees and immigrants, seeks interns to provide support to USCRI’s Immigrant Children’s Legal Program (formerly the National Center for Refugee and Immigrant Children). Our office is located in Crystal City, part of the Washington D.C. metropolitan area. The Immigrant Children’s Legal Program (ICLP) assists undocumented immigrant children ages 0-18 who are in removal proceedings. ICLP screens children for eligibility for legal relief from deportation; recruits and trains volunteer attorneys; and matches children with attorneys. With the generous sponsorship of Marten Law, UW Law is pleased to once again announce an exclusive clerkship position with the Environmental Law Institute in Washington, D.C. for the summer of 2016. The position description and application procedure are explained in the attached flyer. Founded in 1969, the Environmental Law Institute is one of the nation’s leading environmental law and policy organizations. ELI may be the most widely respected national voice dedicated exclusively to environmental law: they are non-partisan, do not lobby, and do not litigate. Their work spans the globe. Located in D.C., ELI hosts a rich variety of summer programs that are magnificent opportunities for learning and national networking. This extraordinary position is open only to 2Ls and exceptional 1Ls currently enrolled at UW Law. Please send application materials to toddw2@uw.edu by January 11, 2016 for joint review by UW environmental law faculty and ELI. The Tom Steel Post-Graduate Fellowship provides funding for a new lawyer to work in the United States on an innovative, public interest law project that serves the lesbian, gay, bisexual and transgender community. The Fellowship will help ensure that unmet legal needs are recognized and prioritized on an on-going basis, and that the next generation of legal advocates for the lesbian, gay, bisexual and transgender community develops the critical skills necessary to secure civil rights into the future. The Steel Fellowship is the first fellowship of its kind anywhere in the country. Pride Law Fund seeks to fund “cutting edge” projects with the potential to make a lasting impact. Persons are eligible to apply if they are law students eligible to graduate in the Spring semester, or are lawyers within three years of their graduation from law school. The Janet D. Steiger Fellowship Project provides law students the extraordinary opportunity to work in the consumer protection departments of state and territorial Offices of Attorneys General throughout the United States. The eight?ten week paid Fellowships were initiated in 2004 by the ABA Section of Antitrust Law, in cooperation with the National Association of Attorneys General, as a consumer protection outreach initiative to introduce law students to the rewards of legal careers in public service. The first and second year law students who have served as Steiger Fellows have characterized their experiences as truly rewarding, often well beyond their expectations. A number of students have said that for the first time they are considering law careers in public service, and several have already entered public service upon graduation. Each of the highly motivated Steiger Fellows provides tangible, meaningful assistance to states and territories that are in substantial need of additional resources to fulfill their consumer protection mission. Offices that have hosted Steiger Fellows in the past have characterized the Fellows’ work as exemplary, and have often described the students as some of the most talented interns the offices have ever attracted. The Office of Immigration Litigation (OIL) – Appellate Section coordinates Federal immigration litigation nationwide, and has both an appellate and a district court section. OIL Appellate defends the administrative decisions of the Board of Immigration Appeals,involving removal orders and denials of applications for relief before the Federal Courts of Appeals. Must be a rising 2L by the start date of the internships. Maintain a minimum cumulative grade point average of 3.0. Be a United States citizen and is required to have a background investigation. Be able to commit a minimum of 30-40 hours per week for 10-12 continuous weeks. Demonstrate interest in immigration or appellate law. Show strong research and writing skills. Students will be assigned to one of OIL’s litigation teams where they will: draft appellate briefs in asylum and cancellation of removal cases and dispositive motions; write case summaries for weekly litigation reports; attend “First Cuts” meetings; and conduct legal research and prepare memoranda.For the summer semester, we require that interns work full?time, 35?40 hours, for a minimum period of 10-12 weeks. Participating judges are from Phoenix, AZ; Miami, FL; Philadelphia, PA (including Camden, NJ); New York, NY; and Seattle, WA. Internships are also available in several cities in California, Illinois and Texas. Students may indicate geographic location preferences on their applications, but may not request particular judges or courts. Interns will receive an award of $2,000. Internships for students with an Intellectual Property Law focus will be offered in Chicago, Los Angeles, Miami, New York, Texas, and Washington, D.C. Students can indicate their interest on their applications. These specialized spots are limited and any student applying to the program with a request for specialization will also be considered for general litigation internships. Please review detailed program information or frequently asked questions prior to applying to the program. Applications are accepted on a rolling basis until January 4, 2016. Early applications are encouraged. The Office of General Counsel (OGC) is the chief legal advisor to the U.S. Environmental Protection Agency (EPA), the federal agency with primary responsibility for implementing the nation’s environmental laws. This is a highly competitive two-year fellowship to start in September 2016. The key objectives are to provide recent law school graduates with the opportunity to practice public sector general or environmental law and to provide OGC with highly motivated, talented, and diverse entry-level lawyers who are interested in a variety of legal work on cutting-edge administrative and environmental law issues. The effectiveness of EPA’s legal responsibilities depends upon the recruitment and hiring of excellent and diverse legal talent. We recognize the need for attorneys and legal interns of varied backgrounds and skills and offer an inclusive environment that relies on those diverse perspectives to ensure that we effectively serve the American people. Students who participate in our programs will experience a new era of outreach and protection for communities historically underrepresented in EPA decision-making. The Agency is building strong working relationships with tribes, communities of color, economically distressed cities and towns, young people and others, but this is just a start. Therefore, we want to make sure we are recruiting the best, the brightest and most diverse EPA ever and ensure EPA is a place for people who are talented, smart, and passionate about protecting the environment. The Center for Democracy & Technology (CDT) is currently accepting applications for unpaid internships in Summer 2016. Summer interns work closely with CDT policy experts, technologists, and attorneys on an array of civil liberties and international human rights issues related to technology and the Internet, including online free expression, electronic surveillance, digital copyright, cybersecurity, Internet governance, and consumer privacy. Law students and recent J.D. and LL.M. graduates can contribute to CDT’s work by conducting legal and policy research, drafting reports and legal analyses, assisting in the preparation of testimony, presentations, legislative proposals and briefs, and creating online educational resources. Want to Protect the Earth? Summer Internship Positions in Environmental Law! We are recruiting for two policy analysts for the Office of Management and Budget (OMB). We are seeking someone with experience relating to K-12 education and someone with experience in labor-related issues, including job training, pensions and unemployment insurance. In both cases we are particularly interested in current students or recent or upcoming graduates of master’s degree programs in relevant fields. Policy analyst positions at OMB are particularly exciting for people launching their careers in public policy. In addition to developing the President’s Budget, OMB staff are responsible for providing the Executive Office of the President with policy and technical support on a wide range of issues. Analysts in these positions are responsible for reviewing the work and recommendations of agencies at many levels, and play a critical role in the policy and budget formulation processes. OMB analysts interact with and provide policy analysis to numerous offices throughout the Executive Office of the President, including the Domestic Policy Council, National Economic Council, and Office of the Chief of Staff. These career positions provide a great opportunity for individuals interested in public policy to see how Federal programs work at all levels. We are looking for individuals who have strong analytical, communications, and interpersonal skills and can work effectively in a fast-paced environment. As the state’s only public law school, the University of Oregon School of Law is charged with providing an exemplary, accredited legal education in a cost-effective manner. The Associate Director is one of three full-time professionals in the Center for Career Planning and Professional Development (Career Center) who report to the Assistant Dean for Career Planning and Professional Development. We are currently seeking to fill two Associate Director positions. The Associate Director’s work is shaped by key areas of substantive expertisesuch as: state trial court clerkships, private law firms, alternative JD career paths, and public interest and public service. In addition to substantial career counseling responsibilities, including job search strategy, document review, and interview preparation, the Associate Director represents the Career Center and the University of Oregon School of Law to external audiences while engaging in marketing and outreach. The Associate Director also collaborates with the Assistant Dean for Career Planning and Professional Development on the content and execution of the 1L Career Exploration and Professional Planning course. Duties also include planning and facilitating Career Center programming, including workshops and panel presentations, and managing budgets related to these activities. ELAW is a network of public interest environmental lawyers and scientists who use the law to protect the environment. We provide legal and scientific resources to advocates in approximately 70 countries who are working to protect the environment and human rights. Legal interns assist the Staff Attorneys in responding to requests for assistance. These requests generate both short and long-term projects. Projects may include legal research (US and international); obtaining information about multinational companies planning to enter new countries; identifying model statutes and regulations; or evaluating legal doctrines and theories. Interns prepare memoranda to send to overseas advocates and communicate directly with these lawyers. ELAW Staff Attorneys work with interns and oversee all projects. The Northwest Regional Office of Earthjustice, located in Seattle, Washington, is seeking students who share a passion for justice and a healthy environment for externships in the spring or fall of 2016. Externs work with attorneys on case development and litigation. Under the supervision of an attorney, an extern’s primary responsibilities are to perform legal and factual research, and to develop case strategy and legal theories. Externs may also have the opportunity to assist attorneys with preparing briefs and motions, to meet with clients and experts, to participate in moots of oral arguments, and to attend court proceedings and conferences with opposing counsel. Human Rights First welcomes law students to apply for its spring 2016 legal internship with the Refugee Representation team. We are looking for students who are currently enrolled in law school, have a strong interest in and commitment to human rights, are preferably fluent in a relevant second language, and want to work on behalf of indigent asylum-seekers. We seek part-time interns (15 hours per week minimum) for the spring semester. Interns will be based in our Washington, D.C. office. All internships are unpaid. The Refugee Representation program works to provide indigent asylum seekers with quality legal representation in their asylum cases. The program also advocates for legal reform and policy change on issues affecting asylum seekers in the United States. The clerkships are full-time, during summer 2016, for a period of 3 months (approximately 12 weeks) with a flexible starting date (dependent upon the student’s schedule). The clerks will be closely supervised and trained by top experts in animal law. Clerks will complete legal research, work with ALDF’s litigation department in developing new cases, and learn how to prepare pleadings in cases currently handled by ALDF. The successful applicant must have a sincere interest in animal protection and be willing to accept a variety of assignments within the expanding field of animal law. The primary focus of this clerkship is on civil animal law issues, but there will be exposure to criminal anti-cruelty cases as well. Children’s Law Center fights so every child in DC can grow up with a loving family, good health and a quality education. Children’s Law Center invites applications for summer 2016 law clerk internships to begin Tuesday, May 31, 2016. Law clerks have a wide variety of responsibilities including conducting client intakes, completing court runs, researching and writing about legal issues, interviewing clients and witnesses, locating resources for clients, attending court hearings, and accompanying attorneys on home and school visits. Law students who wish to intern with the Children’s Law Center will receive one-on-one supervision from an attorney throughout the summer. The following projects within Children’s Law Center are accepting summer law clerks: Guardian ad litem Project (GAL), GAL Special Education Project, Families First (FF), Heathy Together (HT), and Policy Team. The Department of Energy & Environment (DOEE), Office of the General Counsel (OGC) seeks to hire a legal intern. DOEE is the leading agency for energy and environmental issues affecting the District of Columbia. DOEE’s OGC has a staff of nine attorneys and one operations specialist. Legal interns are generally responsible for assisting OGC attorneys with the issues described above and various research projects as they arise. In addition, legal interns have the opportunity to interact with many of DOEE’s engineers, biologists, technicians, inspectors, environmental specialists, and other staff on a wide variety of District?related issues, including air and water quality, hazardous and toxic substances, underground and leaking underground storage tanks, lead?based paint matters, and energy and sustainability issues. Legal interns are immersed in work of the office and have consistent communication with staff and supervising attorneys. Interns participate in all office functions and are in consistent contact in person or via email. Interns may work closely with a number of different attorneys who are all asked to comment, review, and evaluate the intern’s work. The Open Society Presidential Fellowship is awarded yearly to recent JD, LLM, MPA, MPP, and MBA graduates from accredited law, public policy, and business schools. Based in New York City, Fellows pursue work related to human rights, good governance, and justice through an 11-month residence within the Office of the President at the Open Society Foundations. Fellows will work with staff, grantees, and other fellows on special initiatives that address the legal, business, policy, and organizational issues confronted by the Foundations’ various programs and projects. They will gain exposure and connections to the Open Society Foundations’ leadership and partner organizations, and cultivate knowledge about open society strategies. Public Interest Network Seeks UW Grads! The Public Interest Network Seeks UW Grads! The Public Interest Network is a family of organizations that use organizing, advocacy, research and policy analysis, and litigation to create change. They work on a variety of issues, including stopping global warming, protecting consumers, and getting money out of politics. They are actively recruiting UW law grads for JD advantage positions! For the right candidates they may delay start date for after the bar exam.